The de Havilland Mosquito really needs no introduction, beyond the fact that it was one of the most versatile aeroplanes ever built, fulfilling an amazing variety of roles with air forces and civilian organizations across the globe from 1941 until the mid-sixties. 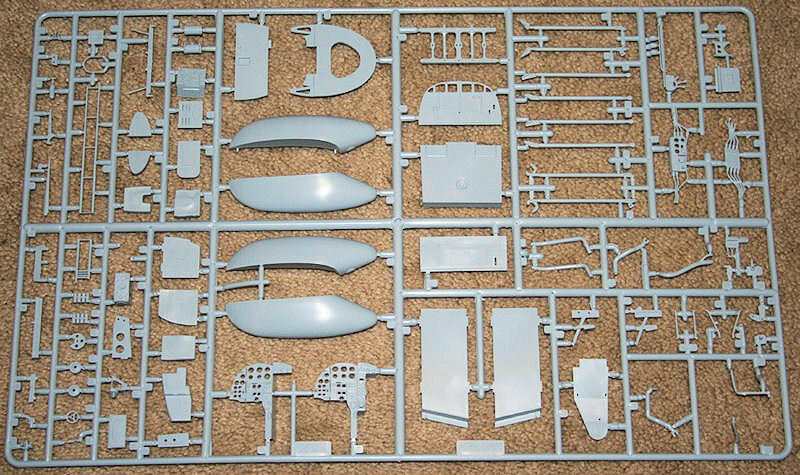 This new kit from Airfix continues a tradition dating back to the early 1970's for large-scale kits, starting with their still-relevant Spitfire I. Rumour has it that Airfix even considered a 1/24 Mosquito back in the early 1980's, but decided to use their research to create a 1/48 kit instead, one that is also still relevant despite newer, more detailed (but not always as accurate) and always more expensive rivals. 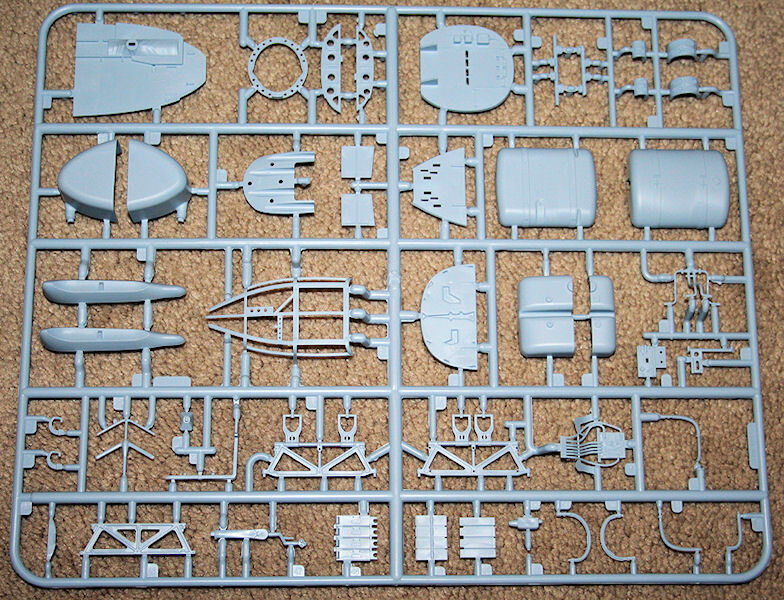 A couple of years ago, wistful thinking had the newly-reborn Airfix resurrecting those plans, and Lo and Behold! they have. The new Airfix Mosquito owes nothing to their previous work, being all-new research based on surviving examples in Britain and cooperation with the de Havilland Aircraft Heritage Centre (formerly the Mosquito Aircraft Museum), where the prototype Mosquito (the only major WWII aircraft prototype to survive) is on display, alongside a Mk.35 and a Mk.VI, the version depicted by this kit. 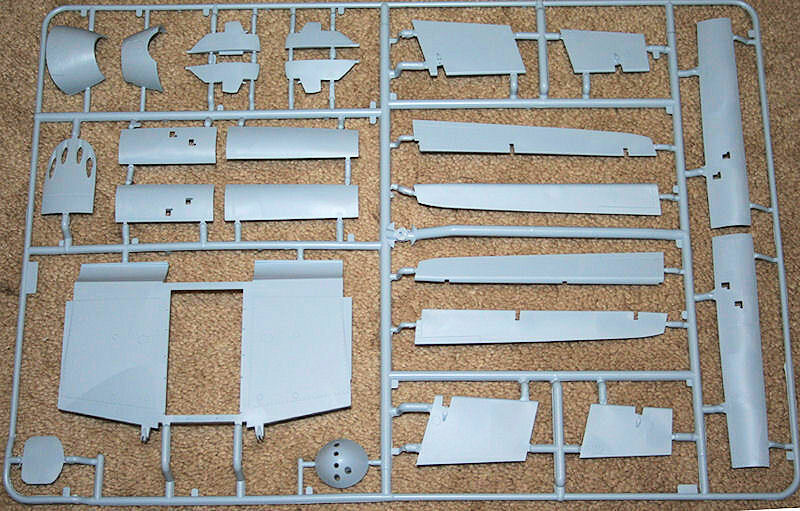 Also included in the kit are parts for the NF.II, amongst the total of 617 parts overall - this is a large model in more ways than one. Arriving in a huge box, opening the lid reveals that, unlike many kits today, the packaging actually needs to be this big because it is packed with plastic. In fact, I had some difficulty getting everything back in the box once I'd finished my initial inspection. According to Airfix, the completed model measures 545mm long - that's just under 21.5 inches, while the span is 688mm or just a fraction over 27 inches. Sprues are all bagged, most two to a bag, but the clear parts and the hard rubber wheels are separate. Also bagged are the instruction and the large decal sheet. The instruction book is, like most aspects of the kit, large! Physically, it's the biggest I've encountered and runs to 52 pages with 251 assembly stages, not including the separate colours and markings guide that is printed in colour. Paint callouts are for Humbrol paints, which are now readily available in the US by the way. I've included a handy color reference at the end of this preview; paint charts are also to be found online. The decal sheet is printed by Cartograf and is a long way from the, frankly, rubbish being put in the boxes as late as last year. The colours look great, and everything is in register. A complete set of stencilling is included as well as all relevant national markings. Hopefully, Airfix's decal woes are behind them! Download Original]"> Back to the plastic, and as you might expect from an aircraft that was mostly made of wood, there are very few panel lines and access panels. Most of these are to be found on the engine cowlings, radiator housings and undercarriage bays, which were metal, and are perhaps a bit heavier than I'd like to see. The parts are covered in ejector pin marks on one side. Most of these will not be noticeable when the model is complete, but there are quite a lot inside the weapons bay, undercarriage bays and cockpit that will need clean up, some of which will be most awkward. Sink marks appear to have been kept to a minimum, but watch out for the areas on the upper wings above the flap housings. Interior detail looks to be pretty comprehensive. There are four main areas here that I will deal with in detail in later installments - the engines, cockpit, weapons bays and undercarriage. A nice feature of the cockpit is a separate clear part to back the nicely-detailed instrument panel; this has been pre-decaled with representations of the instruments and should look pretty effective when it's in place. As might be expected, there is a choice of weaponry available. Both versions carry the four 20mm cannon and four machine guns, but there is also a choice of bombs for both the main weapons bay and under the wings, as well as auxiliary fuel tanks and a set of rockets for the Strike Wing option. A nice feature of the kit is the inclusion of crew figures. 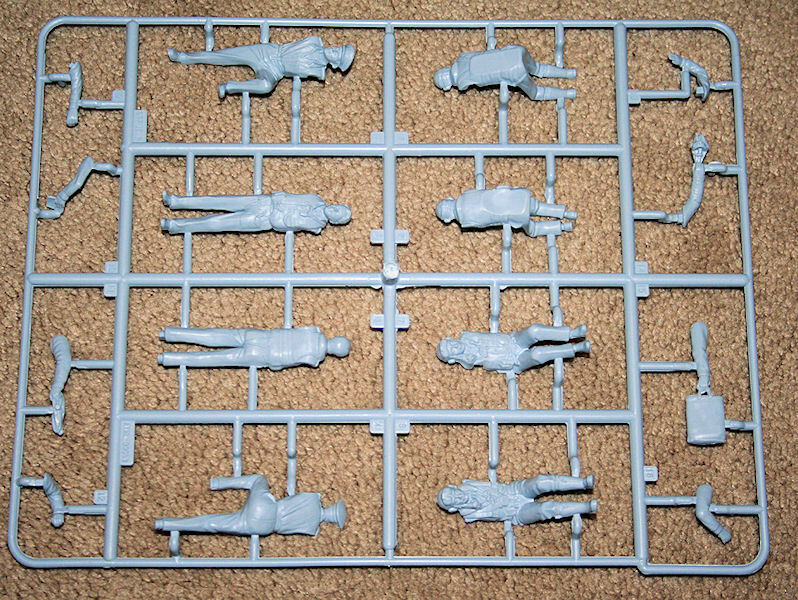 Besides a set of seated aircrew to install in the cockpit, there is also a pair of aircrew that can be used as part of a ground diorama, with one standing and the other climbing the crew entry ladder - the ladder is included and the crew access door is a separate assembly that can be posed open. 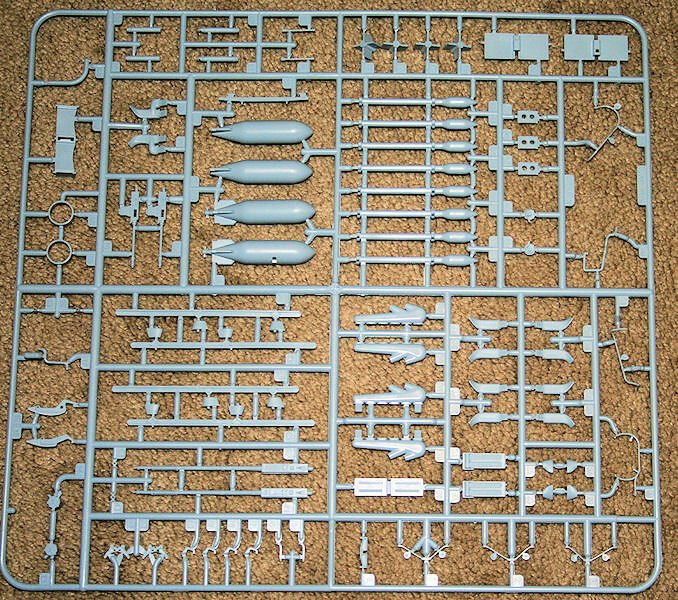 I was very excited to get this kit, and am looking forward to building it. I have already made a start on one of the engines and the cockpit - look for a report on that shortly! My sincere thanks to the good guys at Hornby USA for their aid in getting a sample to us; I've dealt with them a couple of times over other issues and their customer service has been excellent. Airfix kits are available directly from them at https://www.hornby.com/us-en/ and they now also carry Humbrol paints, some of which I shall be using during the course of the build.